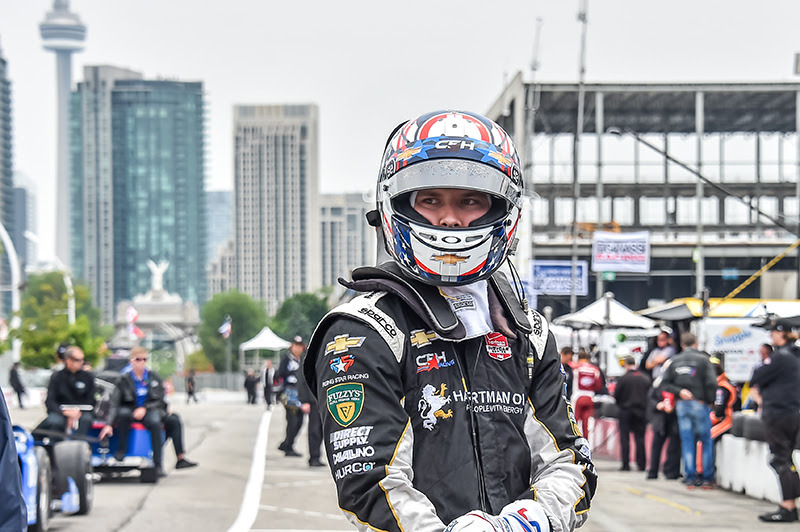 Luca Filippi made his first Firestone Fast 6 appearance of the season and 3rd of his Verizon IndyCar Series career today in the Streets of Toronto, Canada. Filippi will start his No. 20 Fuzzy’s Vodka Chevrolet from the 6th position in tomorrow’s Honda Indy Toronto. Josef Newgarden qualified with the 11th fastest time for Sunday’s 85-lap race. He was initially in Round 1, Group 2 and had just exited the pit lane for his first run on Firestone Firehawk red tires when the red flag came out. He had already completed a lap on black tires that put him 6th on the scoring sheet so he was able to advance to the next round. Filippi was in Round 1, Group 1 and had was just completing his first run on black tires when he brushed the wall with the left rear corner of the car. He brought the car in for a bent toe link which the crew rapidly repaired in time for Filippi to get two laps in on red tires. A yellow flag waved on his second lap, meaning he was only able to complete one full lap at speed. It was enough to advance to the next round him as well, finishing the session 6th. Both Filippi and Newgarden participated in Round 2 and finished the session on sticker red tires. Filippi turned a lap that put him 6th, advancing him to the Firestone Fast 6. Newgarden would finish the session 11th and would not advance to the next round. Filippi elected to save his last set of sticker reds for tomorrow’s event, choosing to run laps in the Fast 6 on scuffed reds. He set the 6th fastest lap of the session, giving him his starting position for tomorrow. CFH Racing enters the Honda Indy Toronto as a one of the defending race winning teams. Last year’s event featured a doubleheader with two races on the same day, the second of which was won by Mike Conway driving the No. 20 Fuzzy’s Vodka Chevrolet. 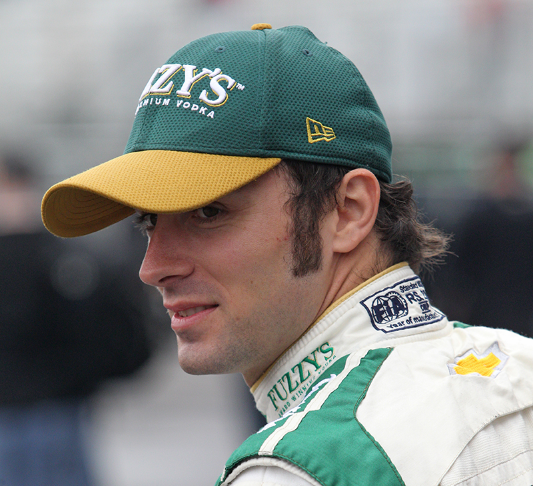 Though Filippi had only eight career IndyCar starts at four tracks prior to the 2015 season, he is not considered a rookie by series standards. The 11-turn, 1.75-mile Toronto street circuit is only one of two tracks on the 2015 schedule that Filippi has prior experience at and is the first he will visit this year. Filippi has seven starts so far in 2015, three of which he has finished in the Top 10. Prior to this season, the Italian had one Top 10 finish in eight races. Filippi will drive the No. 20 in the remaining road and street course events this season with team co-owner Ed Carpenter taking over for the oval events. The 24-year-old Newgarden is having the best season of his IndyCar career, claiming five Top 10 finishes in the first seven races of the year. He also captured his first career victory in late April at Barber Motorsports Park. Newgarden sits 8th in the championship point standings with nine of 16 races completed. The Honda Indy Toronto is the fifth in a string of six back-to-back races for CFH Racing. This will be the 10th straight weekend of on-track activity for the Speedway, Ind.-based team. The 2015 Honda Indy Toronto will be broadcast live on NBC Sports Network at 3 p.m. ET on Sunday, June 14. The race will feature 85 laps with the green flag scheduled for 3:37 p.m. ET. Luca Filippi advanced to the Firestone Fast 6 today in Toronto, one of only two tracks he will visit this year that he has previous experience on. Josef Newgarden will start from the 11th position in tomorrow’s Honda Indy Toronto. It will be his 6th start in the streets of the Canadian city.